MOSHIMOSHI NIPPON Ep. 07 | jibtv.com | Japan International Broadcasting Inc.
Today’s keyword is "B" for Bonsai. 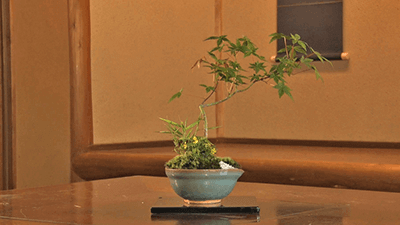 Bonsai is a traditional Japanese hobby that uses miniature trees grown in pots. 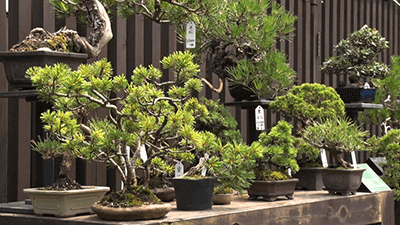 Bonsai trees are planted in small pots and appreciated for their beautiful appearance that varies depending on the shape, color and texture of the trunk, leaves and branches. Landscape bonsai is also popular for its looks that replicate scenery. 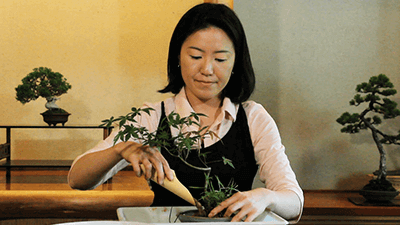 Bonsai artist Kaori Yamada shares the fun of bonsai. Our correspondent for this segment is Said Karlsson. His favorite is a coffee shop called OMOTESANDO KOFFEE, which is located in Omotesando. The café is not an ordinary one as it uses a Japanese traditional house as a store. Said shares why he likes the café so much. Today’s topic is video games. Japan has been home to many internationally successful video games, and has been producing new, innovative types of games. Ichiya talks about the history of video games and why they attract so much attention from the perspective of pop culture.